PartyLite are known for their gorgeous candles that burn beautifully and for hours at a time. For my review I tried the Forbidden Fruits GloLite by PartyLite Fig Fatale Scented Jar Candle. The Forbidden Fruits candle not only has a beautiful light fragrance but the gorgeous jar is very stylish and looks lovely as an ornament on the dining room table. 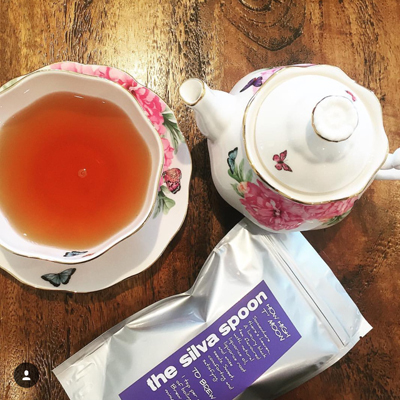 The candle burns smoothly and is perfect for a cold winter’s night in. 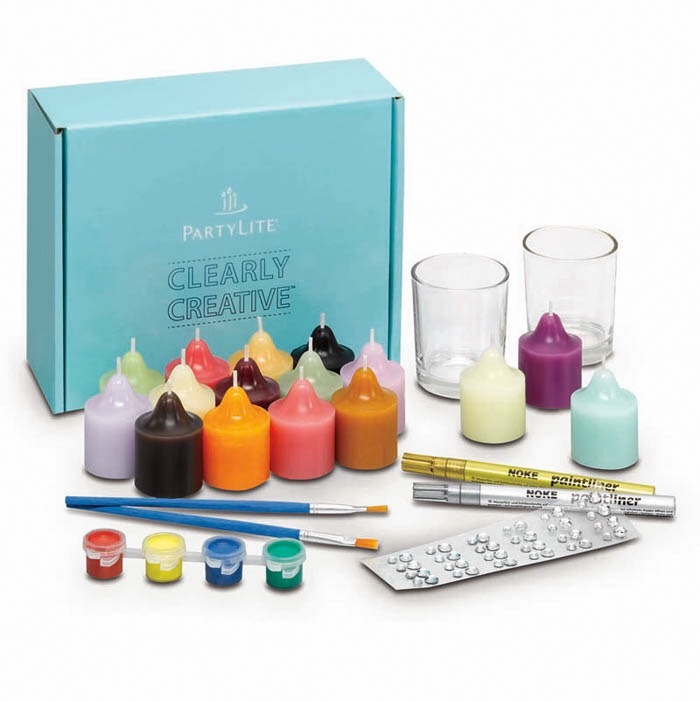 The Clearly Creative Votive Holder Decorating Kit comes with two glass cups, four paint colours, two brushes, two metallic paint pens, adhesive faux jewels enabling both parents and the kids to get involved and work together. Then display their work and enjoy the memories of an experience shared every time they are used. For a chance to win this fabulous prize pack simply share with us who you would like to spend a candle lit night in with. Our judges will choose their favourite answer and announce a winner at 7.30pm on the 21st of July. 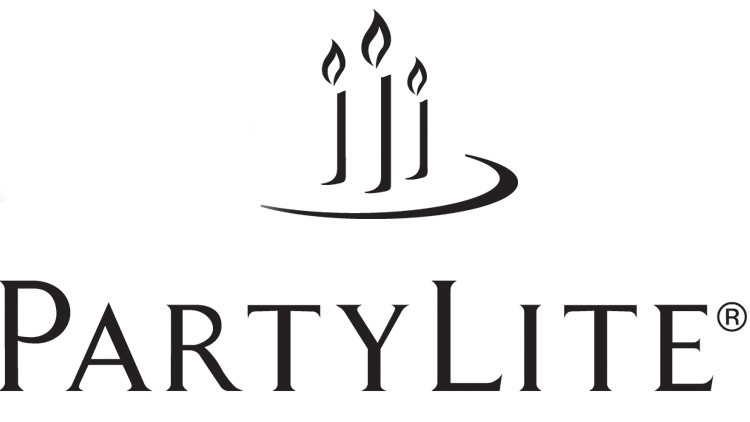 PartyLite is a successful international party plan company and the number one direct seller of candles worldwide. Its quality candles are made with the finest scents from the best fragrance houses in the world. 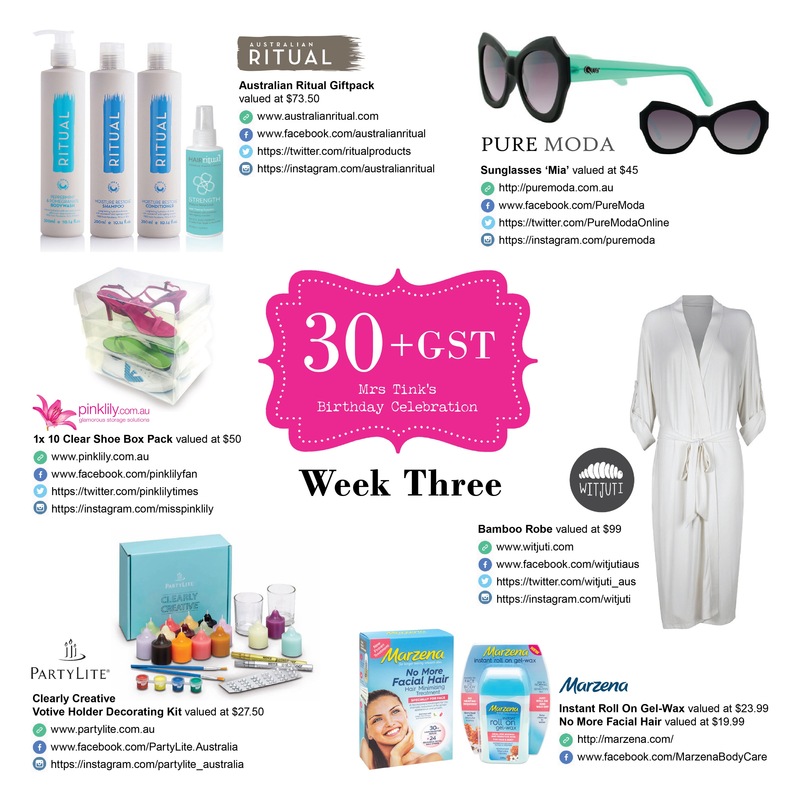 Since its launch in Australia in 2002, PartyLite Australia has seen amazing and consistent growth – including an impressive 30% in 2013 – and has built up a strong Consultant network of over 3000 active Consultants throughout the country. Only my husband. Funnily enough, the last time we were left at home on our own to have dinner, I pulled out some candles to make it all romantic-like and cracked open a bottle of wine. It was so long ago, I don’t even remember when. I light candles regularly in our house. I love the calm, the warmth, the light, the peace that they bring. Until my teenager walks past and blows them out. He’s not such a fan! Vin Diesel but if he’s not available then my lovely baby daddy! Life with a new baby has been an eye opener (not much time for closed eyes) and he has been an amazing support and stepped right on up to the plate in everyway he possibly can 😊. i would love to spend a candle lite dinner with my husband of 32 years, seriously can’t remember the last time we had a romantic candle lit dinner . Life is always so busy and we never seem to make or find the time, these gorgeous candles would give us a good reason to make the effort!! Happy birthday, Mrs Tink, I hope you have a wonderful day. Partylite Candles are amazing, they last a long time and have a really nice scents that you can actually smell! 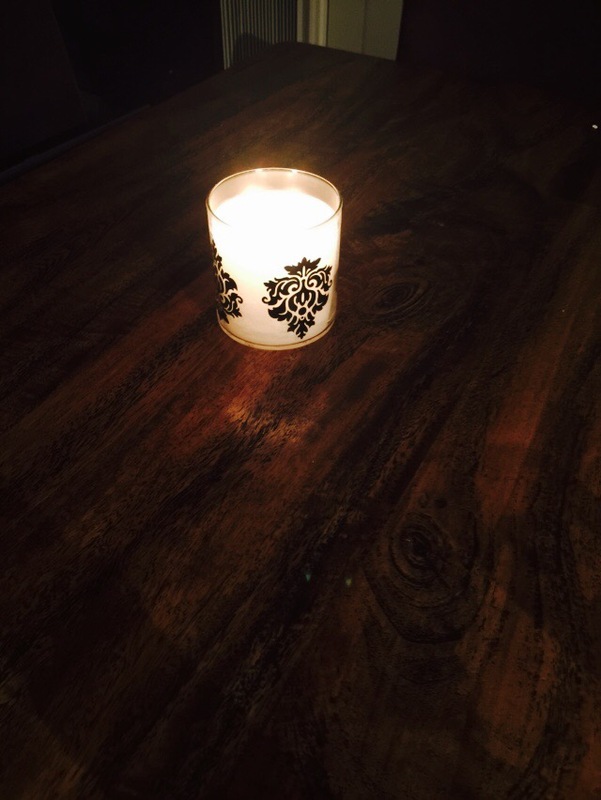 I was so excited about the candles…I forgot that I would spend a romantic night with my husband! I would love to spend a candlelit night with my husband , can’t remember the last time we did something romantic like that! With having 4 children it makes it a tad difficult!! I would spend a candle-lit dinner with my partner (now recently fiancée!!!) we are both so busy with our working lives that we forget to take a step back and make time for each other. 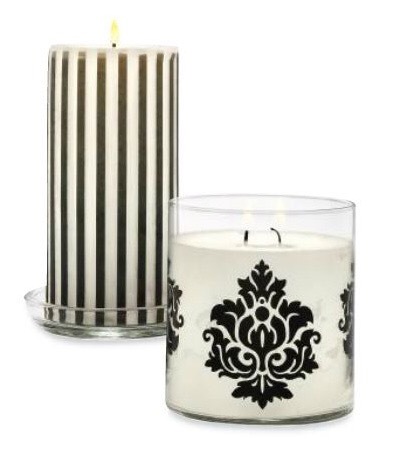 I think candles have that special way to enhance our moods and emotions to simply just relax! Something I need to do in the very near future! Normally I was very quickly say George Clooney but he foolishly married some woman. Why would he do that when he could have had me? Fool. So I will say Capt Jack Sparrow. He is quite charming in a pirate kind of way and at least he would make me laugh.